We have some amazingly dedicated volunteers who help us out at the Bright Lights office all year round, and we couldn’t do what we do without them! Why do they choose to volunteer at Bright Lights? We thought it would be best if you heard the answer to that from them! So this week, we’re doing a Volunteer Spotlight on Linda Schmailzl. How long have you been a Bright Lights volunteer? What made you choose to volunteer for Bright Lights? I retired and Pam [Magdanz] mentioned that Bright Lights needed volunteers. So here I am! What’s your first memory of volunteering at Bright Lights? In the very beginning I was amazingly welcomed by the staff and I still am! What do you wish others knew about Bright Lights? The effort all year round behind the scenes of the staff to set up the summer and make it a fun-filled learning experience for the students. How does it make you feel when you volunteer? It makes me feel really great knowing I’m helping and doing something I love to do. 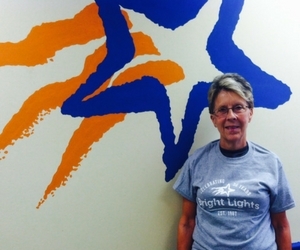 What’s it like to be a volunteer here at Bright Lights? It’s a wonderful experience. I think that if you have free time that this is a great thing to be doing. If you weren’t volunteering, what would you be doing? Not as much as I’m doing now! 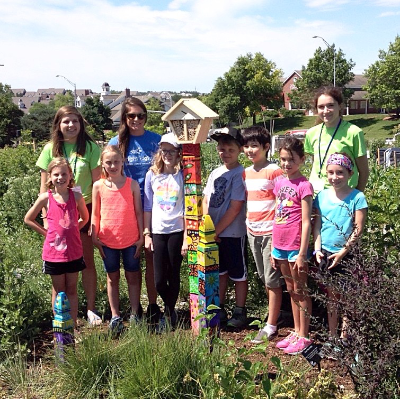 Volunteering keeps you busy and active! I attend the YMCA water aerobics class and enjoy reading biographies about pioneering. My husband has just recently retired and my children are grown and gone. I worked for Lincoln Public Schools for 35 years: first as a secretary at Everett for four years and as a para educator for the rest of my time there. I loved it. My time here reminds me of my time at LPS and being surrounded by an educational environment. I just love it and look forward to it every week! And we look forward to seeing you every week, Linda. Thanks for your dedication… and we’ll see you next week!